So you’ve finally made it to EC New York English Language Center and you’re about to start your studies. 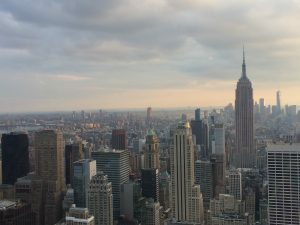 With such a bustling city at your fingertips, which New York City landmark should you check out first? Don’t stress, let us find the best landmark for you. From the calming green landscape of Central Park to the hustle and bustle of Times Square, New York City offers you a unique opportunity to immerse yourself into American culture, with a different experience in each of our great landmarks. Remember learning English goes beyond the classroom. Whether it’s on Wall Street practicing your negotiation skills or at Yankee Stadium using your sports slang, living and studying in New York provides a truly immersive experience. Click on the image below and find out which landmark in New York City is best for you!